Throughout the food processing chain and after ingestion by the host, food associated bacteria have to cope with a range of stress factors such as thermal and/or non-thermal inactivation treatments, refrigeration temperatures, freeze-drying, high osmolarity, acid pH in the stomach or presence of bile salts in the intestine, that threaten bacterial survival. The accompanying plethora of microbial response and adaptation phenomena elicited by these stresses has important implications for food technology and safety. Indeed, while resistance development of pathogenic and spoilage microorganisms may impose health risks for the consumer and impart great economic losses to food industries, reduced survival of probiotic bacteria may strongly compromise their claimed health benefit attributes. As a result, substantial research efforts have been devoted in the last decades to unravel the mechanisms underlying stress response and resistance development in food associated microorganisms in order to better predict and improve (i) the inactivation of foodborne pathogens and spoilage microorganisms on the one hand and (ii) the robustness and performance of beneficial microorganisms on the other. Moreover, the recent implementation of system-wide omics and (single-)cell biology approaches is greatly boosting our insights into the modes of action underlying microbial inactivation and survival. 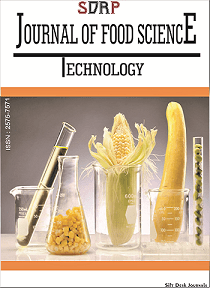 This Research Topic aims to provide an avenue for dissemination of recent advances within the field of microbial stress response and adaptation, with a particular focus not only on food spoilage and pathogenic microorganisms but also on beneficial microbes in foods.